Fintech Limited software is hailed as a miracle binary trading software that can make you $2,500 a day, but can it be trusted? We’ve had 5 readers who lost all their money to Fintech Limited scam, so we recommend that you stay out of it. If you want to know the truth and avoid future scam, make sure you read our full Fintech Limited review for the details. On first glance, Fintech Limited scam seems really reliable and authentic, thanks to the professional sales video they have put together. It is for this reason that many of our readers fell victim to the scam, and lost their $250 deposit in a matter of hours. 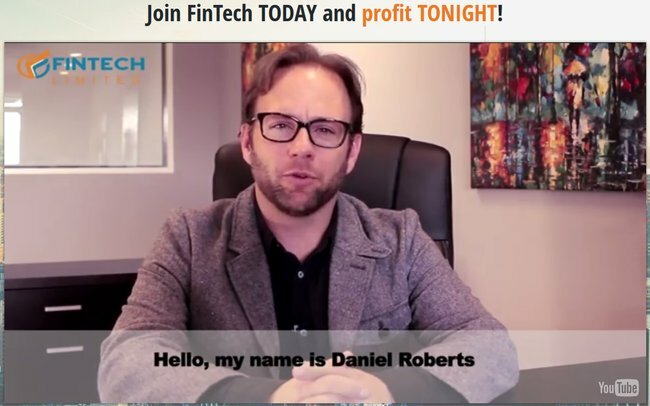 Daniel claims that his software uses precise algorithm and fast computers to buy and sell assets, making you a lot of money in the process. That’s nice and all, but never once did Daniel explained the inner workings of the whole deal. How does the software actually work? Why is he giving the miracle software to strangers like you and me for free? What’s the catch? We’ll reveal all of these right in this Fintech Limited review. Within the sales material of Fintech Limited, you can see several videos of its alleged members who made huge profits with the software. These testimonials no doubt gave a big confidence boost to the credibility of the software, but please don’t just take their words for it. Every single one of these testimonials was recorded by Fiverr actors and actresses, who were hired to deceive internet users like you and me. Take a look at the evidence below. On the left of the screenshot, we have one of Fintech Limited “members”, Kenneth Miller who claimed he made a fortune with the software. We decided to do a background check for all these members, and turns out all of them were hired from Fiverr. 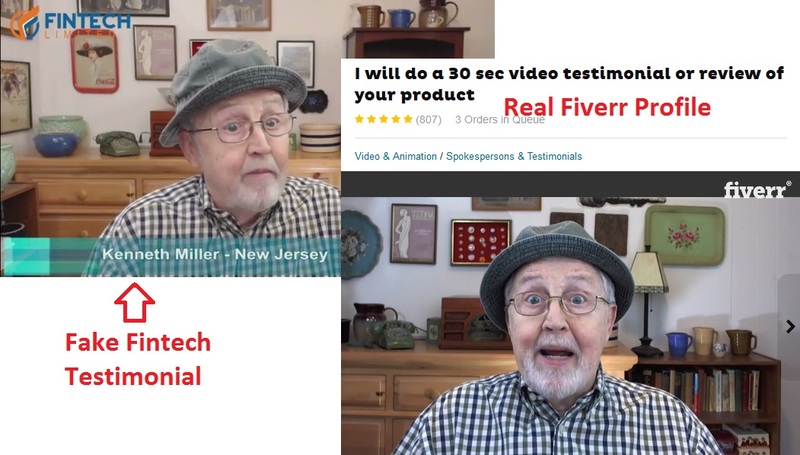 Fiverr is a freelance marketplace for a variety of services, and unfortunately this includes selling scripted testimonials like what we are seeing here. 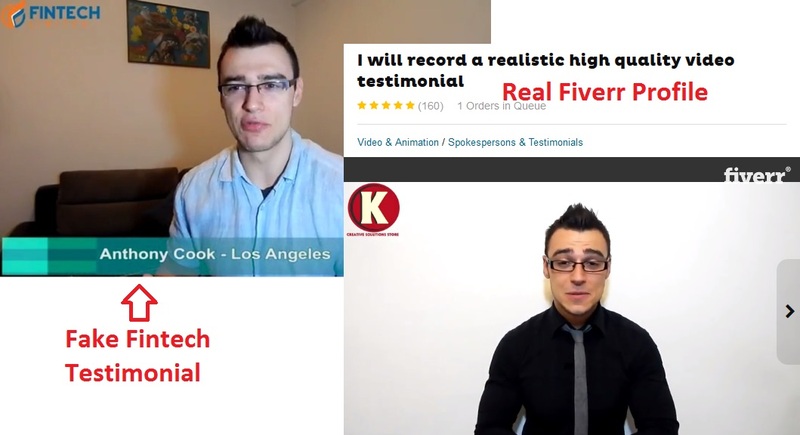 These spokespersons generally sell their video testimonials for as low as $5. They don’t necessarily speak the truth, as their scripts are provided by their clients. 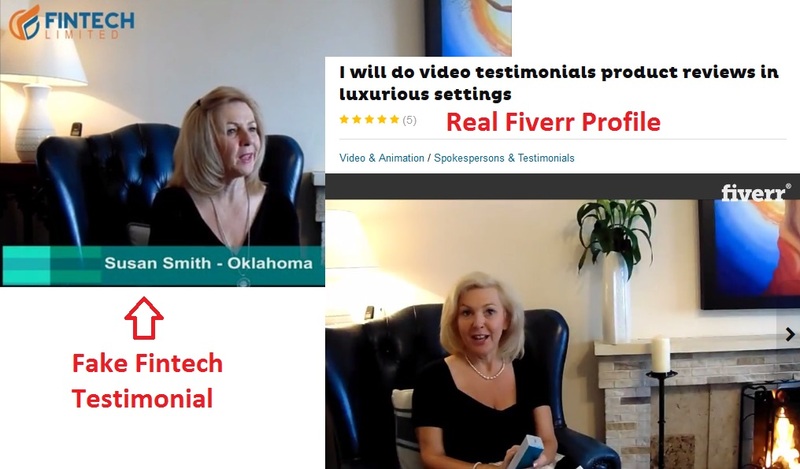 In this case, the scammers behind Fintech Limited decided to hire 6 Fiverr actors and actresses and provide them scripted testimonials. It is now the job of these spokespersons to act like they experienced huge profits using Fintech Limited software, and record a fake testimonial based on the script provided. Can you trust someone who sell testimonials for a living? We do not condone or condemn the act of buying a selling fake testimonials, but we want our readers to at least be aware of this – that fake testimonials can be bought online for a cheap price. Don’t trust these testimonials easily, or you may subject yourself to a huge financial headache. Keep reading as we reveal how the scam works, and how you can make money online for real. Fintech Limited software is an automated binary trading software – which means it trades binary options on your behalf, automatically. Before we explain how the software functions, we need to give you some background information on how binary options work. Binary options is basically trading stripped down to its simplest form – you only have 2 choices when you trade, by either selecting “call” or “put” option. If you think that the price of an asset will be higher at the end of trading session than when it started, you place a “call” option. Otherwise, you place a “put” option. Here’s how it works – let’s say I think that the price of GOLD market will be higher 2 minutes from now, and I bet $50 on a call option on a 2-minutes contract. At the end of 2-minutes trading session, if the price of GOLD market is indeed higher, I win a certain percentage of what I bet, usually between 60% to 80%. But if I’m wrong, I lose the entire $50 that I bet. The process is extremely simple, but the problem is this – it’s impossible to predict the market movement in such a short period of time. Over a series of trades, your winning ratio will be close to 50%, much like a series of coin flips. However, you are risking more than your potential reward in every single trade. Even if you manage a 50% win rate, you’ll still lose money because you are risking $50 to potentially win $40. And this is how the binary options brokers make money off you. Unlike the brokers for stocks exchange, binary options brokers don’t charge you commissions to trade, they make money when you lose. This is why Forbes warned us against gambling with binary options. Even though Daniel from Fintech Limited promises to generate you winning trades with his advanced algorithm, there’s simply no software that can predict the future. He is in fact working with the brokers to profit from your deposits. That’s why you have to sign up for a new trading account through his page, even if you already have existing broker accounts. So, What’s the Real Way to Make Money Online? FINTECH LIMITED IS A SCAM. We strongly advise you to stay away from the scam if you don’t want to lose your hard-earned money. You’ll need to deposit at least $250 into your trading account to activate the software, and your money will be lost in quick succession to the scammers. You are better off spending that money for a nice dinner with your loved ones than to waste it on a scam like this.